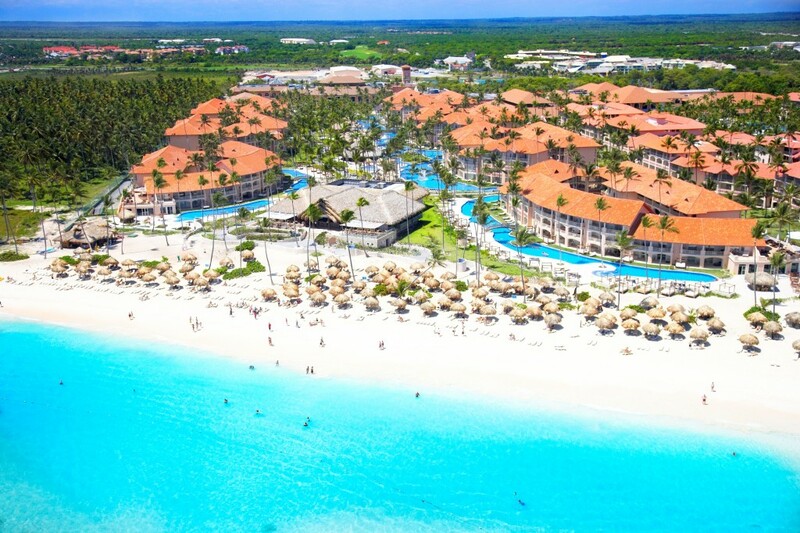 Majestic Resorts has become one of the most in-demand hotels in Punta Cana for weddings, honeymooners, and families alike. The beautiful gardens, amazing swimming pool, breathtaking beach front location, wide selection of international cuisine and choice of activities are just a few of the reasons to visit this spectacular resort. To complete your vacation experience, enjoy your own private Jacuzzi available in all of our room categories. All this complemented by our wonderful staff are just the start of your Majestic experience. Considered one of the best beaches in the world, Bavaro Beach with its white sand and turquoise waters makes the perfect scenario for paradise, eternal summer, and blue sky. In addition the amazing oversized Junior Suites and Suites are all finished with a modern yet Caribbean feel and come with all the facilities you would expect in a five-star resort including an indoor or outdoor Jacuzzi, both perfect for romance. Conveniently all facilities including restaurants, bars and entertainment, are located close to each other and are easily reached within just a few minutes of walking. Both hotels offer an adults-only experience (18 years of age and older), and the Colonial Club and the Elegance Club respectively are ideal for vacationers looking for the best services and amenities available in a dedicated section of each hotel. 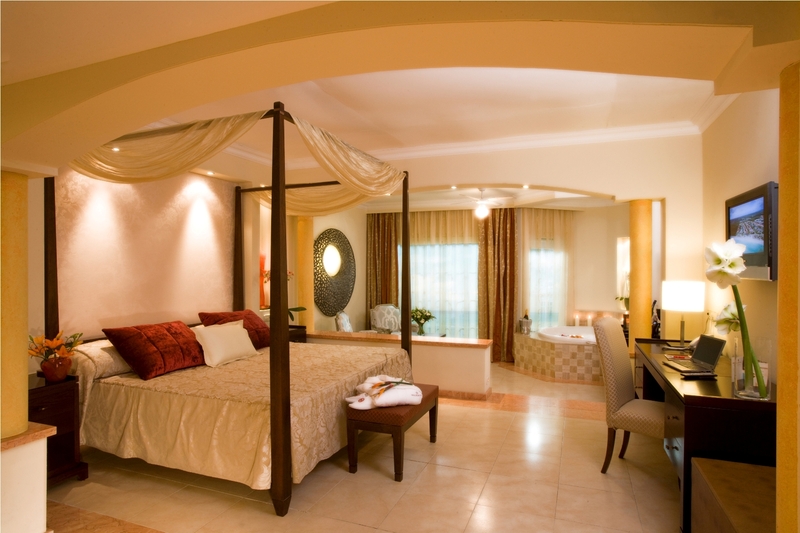 Each club section offers a selection of luxurious room categories from which to choose. Indulge in elegance at Majestic Resorts in Punta Cana. Each Resort offers five a la carte Restaurants for dinning where you can go unlimited times, and reservations are required for only the Gourmet and the Teppanyaki tables. Seafood including unlimited lobster, the best cuts of meat available in our open seating Steakhouse, Japanese with live cooking tepanyakis and sushi bar, Caribbean or Italian—the choice is yours. Late-night snack for night owls and a buffet with show-cooking stations are also available. Sixteen Bars at the Elegance and 15 Bars at the Colonial complete your 24-hour all-inclusive experience. Related Story: Have a Majestic Getaway! Golfing in paradise? Why not? It’s included! Get a free round or two to play at the Punta Blanca Golf Course, one of the best courses in Punta Cana and right next door, when you book more than five nights at Majestic Resorts. Paradise awaits you at Majestic Resorts. Are you a recently married? Get free upgrades, late check-outs, romantic dinner, and special amenities in room when celebrating your honeymoon at Majestic Resorts. Getting married in the Caribbean is a trend and a great value when you take advantage of our complimentary weddings! These include the assistance of a wedding coordinator, enchanting locations as the beach, gardens or beautiful chapel, wedding cake flowers, and more. Enjoy our famous free form lagoon shape pool. Choose from a selection of water sports. Enjoy a game of beach volley ball. Listen to live music at a selection of our bars. Try your luck at the casino. See your favorite sport at the sports bar. Take in the nightly shows in our theatre or some late night dancing at the Disco. Book a tennis tournament with our pro or have a work out in the gym, or even just relax with a book. Enjoy Majestic Resorts, your way! Call your local travel agent and request a GOGO Vacations’ package now!